“As the surfboard industry moves toward prefabricated, machine-cut mass production, hand-shaping surfboards keeps it tied to its roots. 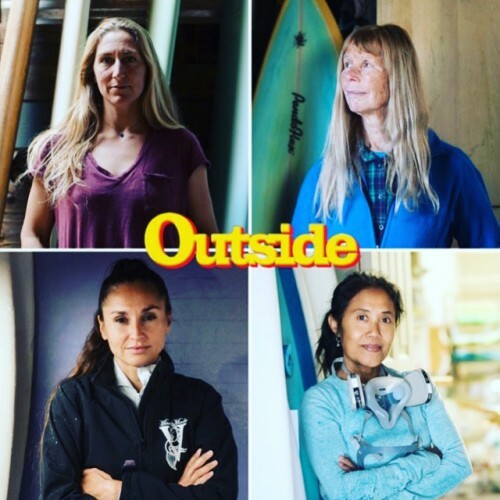 Masters at their craft, these four women—Ashley Lloyd Thompson, Valerie Duprat, Cher Pendarvis, and Dewi Malopsy—represent a small handful of female board builders who prefer making boards (which range in style from the classic San Diego fish to long nose-riders to big-wave guns) the old-fashioned way. Link to full story click here. No Comments on "Outside: The Women Keeping the Art of Surfboard Making Alive"